Beating the winter doldrums with inspiration in the form of star wands; washi tape; play-dough; notebooks; spinning tops and a watercolor phone case. (Plus a big glass of wine tonight. Whoa baby, what a week!). Love the iPhone cover! Whenever winter hits I always try to add more color to my wardrobe. I think it wards off S.A.D. What a week INDEED! Cheers! 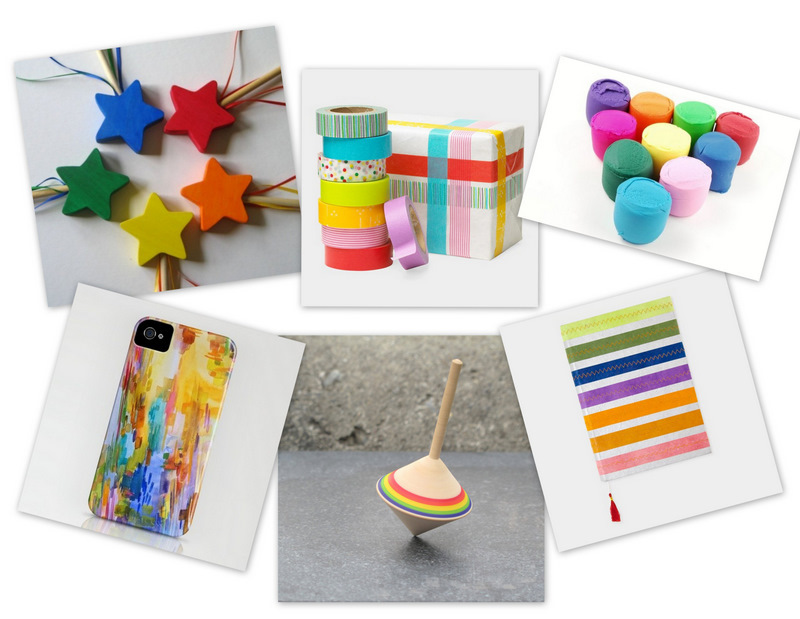 These Friday is all about colour on both our blogs apparently:-) Love it! Happy weekend! ah, spinning tops... so fun! hope you have a lovely weekend, kayla. star wands and play dough just made my day. Love the color! Ended the week with a bang and this makes me smile. That washi tape could brighten up just about anything.